Contributed by Steve Elofson, Avionics Installations Sales Rep.
Identifying where an aircraft operates is a critical step to selecting a Wi-Fi solution. Please check with each provider for the latest coverage information. Understanding the features, capabilities, and service levels that come with each Wi-Fi and inflight internet system can get confusing. There are several aspects that need careful consideration, namely which inflight internet system best fits the passenger needs. An aircraft’s high-speed data (HSD) system is what provides the inflight internet connection for Wi-Fi in a business aircraft. Before selecting a system, a thorough understanding of passenger needs is essential. Do passengers want wired or Wi-Fi access? What devices will they use? Where will they fly? Will they need access to e-mail attachments? Will they need high-speed internet? Will they need to connect to a VPN? Evaluate what’s currently installed on the aircraft. When customers request in-flight internet options, one of the first questions I ask is “Do you have a Satcom system?” Many times, customers already have a voice or data system that can be upgraded to support HSD and Wi-Fi connectivity. Examples of aviation-grade equipment include: Aircell’s Cabin Telecommunications Router (CTR), which can be added to an existing Aircell Gogo Biz™ Inflight Internet system; EMS Aviation’s CNX-200, and Honeywell’s CG-710. Other HSD systems like Thrane & Thrane and True North have a built-in Wi-Fi router. 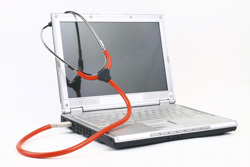 Some HSD providers offer unlimited usage, others charge by the megabyte. It’s important to clearly understand each HSD plan so you aren’t surprised by the service costs after the aircraft leaves the hangar. For example, Gogo Biz offers an unlimited usage plan for a monthly fee. Systems available through SatCom Direct are typically billed by the amount of data used. Determine which system offers the speed and coverage passengers need. Different inflight internet service providers offer a variety of internet speeds and are available in different geographic regions around the world. Gogo Biz currently offers a very fast high-speed internet connection via a ground-based network in the continental U.S. SatCom Direct provides service for a variety of different satellite-based systems with different connection speeds, such as Inmarsat and Iridium, which provide near-global coverage. Sometimes more than one HSD solution can be installed in an aircraft to increase internet accessibility. A fast, domestic system can be installed alongside an international-capable system. Depending on the systems and router used, the transition from one service to the next can be almost seamless when crossing into areas with different coverage. 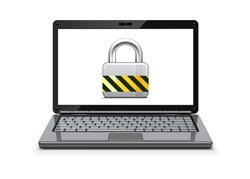 No matter what system you choose, I highly recommend using an authorized service center to install HSD and Wi-Fi systems. An authorized service center with equipment dealership agreements will have a better understanding of the aircraft, and will have greater support from the equipment manufacturer. Duncan Aviation has installed more than 100 HSD systems over the last three years, most of which have included Wi-Fi routers. We hold several airframe service center authorizations, and have many Wi-Fi STCs covering many makes and models. Installations can be accomplished at either of Duncan Aviation’s full-service facilities in Battle Creek, Mich. or Lincoln, Neb. ; or at any of Duncan Aviation’s network of avionics shops located in more than 20 cities across the United States. Read the expanded article in the summer edition of the Duncan Debrief magazine, available online next month. Steve Elofson serves as an Avionics Installations Sales Rep. at Duncan Aviation’s Lincoln, Neb. facility, specializing in Challenger aircraft. He began working in aviation in 1989. Knowing the right questions to ask is important when troubleshooting HSD failures. High-speed data (HSD) failures are difficult to troubleshoot, and require several different skill sets. The most important skill needed is knowing which questions will yield the best results. The price for poor troubleshooting is very high, and my number one recommendation is to get advanced troubleshooting experts involved early. Here are four steps to troubleshoot why passengers can’t connect to the internet onboard an aircraft. I will also explore each topic in further detail in future posts. Plug a laptop into a ‘hardwired’ Ethernet port in the cabin to verify the router is powered and other basic functions are operable (an internet connection is not necessary). If the Ethernet ports are functioning, but the Wi-Fi is dead, then there is a problem with the router. 2. Verify there wasn’t a connection loss. There are times and places where connectivity will be lost due to congestion. This is more common in afternoons and airspaces where lots of users are logged in, like New York City or Chicago. It is also common to momentarily lose connectivity when switching between satellite signals during transcontinental flights. Your service provider should be able to tell you if a connection failure was caused by congestion or while switching satellites. 3. Send fault logs to the service provider and equipment manufacturer. Most HSD terminals have fault logs that can be downloaded to assist in troubleshooting. Send these logs to your service provider and equipment manufacturer technical reps. I always recommend that operators contact their field service and equipment manufacturer technical representatives, and get them involved early. If you don’t know who your representatives are, ask the facility that installed the equipment. 4. Hire a professional for ancillary system troubleshooting. For ancillary system issues, such as Sat AFIS/ACARS, save your time and hire a professional to assist you. In many cases the satcom and datalink service providers are companies with competing services, and unfortunately a fair amount of accusation can take place between the two. To reduce confusion and root out the error relatively quickly, get both parties on a conference call. 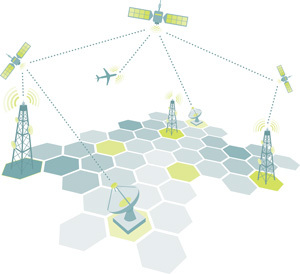 Selecting an aircraft high-speed data (HSD) system for in-flight connectivity is not unlike choosing a cell phone or internet access provider. Options abound, and naturally, so does confusion. Most of the confusion seems to be with terminology, particularly the difference between "HSD" and "Wi-Fi". HSD is the data pipe to the aircraft, like the cable connection for your home internet. Wi-Fi connects to that data pipe, providing the equivalent of a wireless network inside the aircraft. There are several HSD solutions available, with several equipment and service providers vying for attention. A ground-based solution provides the fastest connection speed, similar to what you would experience in a home or office environment. But it doesn't activate until an aircraft is above 10,000 feet and is only available within the continental US. 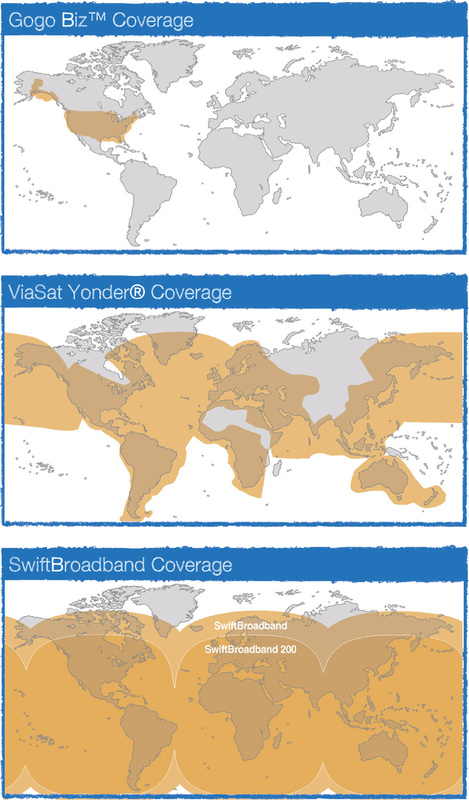 Satellite-based solutions offer slower connection speeds, but they don't come with any altitude limitations and are accessible worldwide. However, these systems require a fuselage-mounted antenna, which some aircraft just can't accommodate. 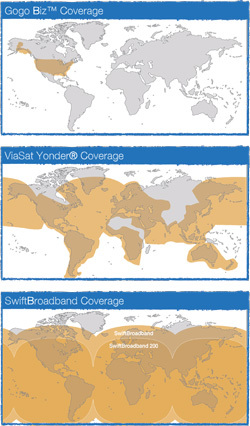 Charts of connectivity options and global coverage from Arinc and Iridium are available at Mary Kirby's Runway Girl blog with Flightglobal. Upgrade paths can also help narrow the decision, as the majority of an aircraft's existing equipment can be left intact, helping to reduce costs and downtime. There are a lot of variables to consider. While the industry waits for FAA guidelines and documentation, keep in mind this is a fairly new technology to business aviation. Questions? Duncan Aviation's Avionics Installations Sales Reps can help. More details on the topic, including observations from our industry experts, will be available in the next edition of the Duncan Debrief due out this summer. Stay tuned!